What is the difference between FAL and CPT instruction? In a nutshell both does expression evaluation (computes). 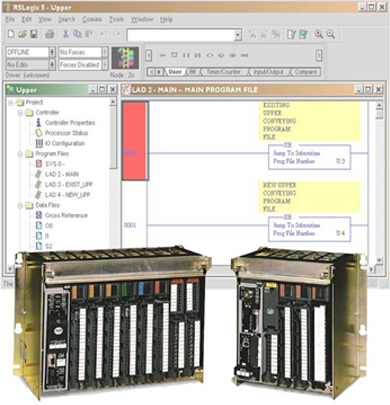 However, FAL instruction performs operations in multiple words and CPT instructions handles single word. 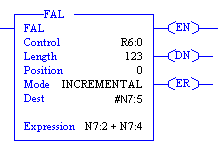 That is, FAL instruction acts on an array of file level indicated by the hash “#” and length, as opposed to a single file (as CPT instruction does). While in the example below, CPT valuates the expression and stores in only one file address N7:45.